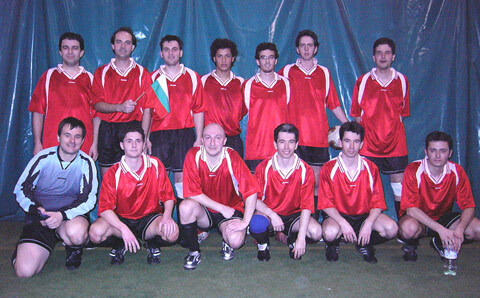 FC Trakia was created on the 10th of March, 2004 by a group of bulgarian soccer players. The idea came from the former player of Trakia Veselin Kostov and the current captain of the team Svetoslav Varnev. Original team outfit was red jerseys with white stripes, black shorts, and black socks. The first official game FC Trakia played was on the 23rd of April 2004 in "The Big One" tournament.During that game Trakia looses with 3:5 against the well trained "Dollard SC" team. After that game Trakia goes on and wins the following seven games in a row. 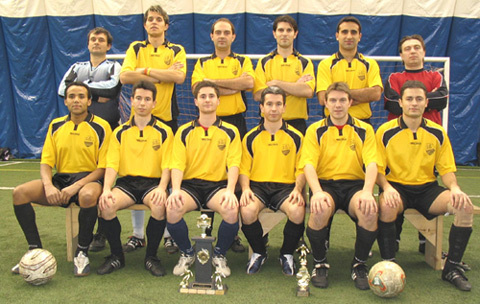 During the first champions game for the "Soccer Plex CUP 2004" on the 13th of May 2004, Trakia wins 4:2 over "NexxtNightClub" which later wins the champions cup for the tournament. The biggest win for Trakia was 11:1 against "Bulls" during the "Soccer Plex CUP 2004" tournament on the 27th of May 2004. The biggest lost was 4:12 against "Palestine" during the "Dome League 2004/2005" tournament on the 10th of February 2005. Current team outfit is yellow jerseys with black stripes, black shorts, and black socks.